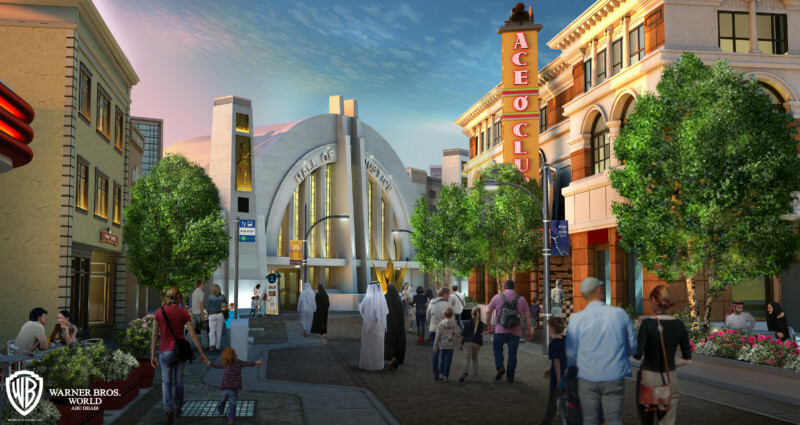 Today, Miral announced that Warner Bros. World Abu Dhabi will feature six immersive worlds: Metropolis and Gotham City, inspired by the universe of DC Super Heroes and Super-Villains; Cartoon Junction, Bedrock, and Dynamite Gulch, themed after iconic animated brands such as Looney Tunes and Hanna-Barbera; and Warner Bros. Plaza, reminiscent of old Hollywood, where these seminal characters and stories were originally brought to life. Warner Bros. World Abu Dhabi, developed in partnership with Warner Bros. Consumer Products and DC Entertainment will complement Miral’s Yas Island destination portfolio of themed parks. This includes Ferrari World Abu Dhabi, Yas Waterworld, CLYMB, and opening in 2022, the recently announced SeaWorld Abu Dhabi. Yas Island also offers a wide range of sporting and entertainment experiences including Yas Marina Circuit, seven hotels, year-round events, a live performance and concert arena, 18-hole championship golf course, marina, beach, and the popular shopping destination, Yas Mall.